No computer, software or internet required. Power up Varius Message Router and it is ready to work. Varius Message Router is an independent SMS appliance with its built-in web GUI and network interface. Power it up, and it is ready to work. You can connect Varius Message Router to your corporate network and access it from any computers using a web browser. Send and receive SMS messages with different protocols including SMTP, POP3, HTTP, Syslog and SNMP Traps. Varius Message Router works easily with different network monitoring systems and business applications, thanks to its support for different protocols. Varius Message Router is extremely versatile and supports two way SMS messaging with SMTP, POP3, HTTP, Syslog and SNMP Traps, making it an email to SMS gateway, HTTP to SMS gateway, Syslog to SMS gateway, SNMP Traps to SMS gateway, POP3 to SMS gateway and more. Alert quickly and promptly with a high throughput of more than 30 SMS messages per minute. 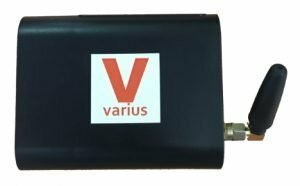 Varius Message Router is equipped with an in-built efficient 3G cellular module optimized to ensure that the critical alerts are delivered promptly. Send precise alerts by setting simple or complex trigger conditions. Rule-based filtering criteria enables you to select incoming messages for relevant actions. Convert and transform messages easily between HTTP, SMTP, SNMP, Syslog, POP3 and SMS formats to send to the respective endpoints. Ensure timely delivery of messages with the escalation, reminder and scheduled messages features. Improve productivity by organizing the message recipients into different contact groups. Send to all members in a group at once with the click of a button. Reduce network outages and quickly detect issues with in-built easy-to-use network monitoring software. Safeguard your equipment by monitoring the temperature and humidity of your server room with our temperature and temperature and humidity sensors. Monitor power failure in your server room with our power failure sensor and receive alerts immediately once power failure is detected. Your success starts with the right resources.